It is not a first, but it is a dire need. 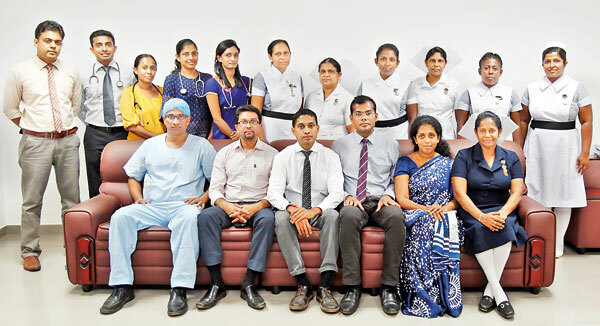 As such, in the interests of the public they are duty-bound to serve, a team at the Colombo North (Ragama) Teaching Hospital, amidst many challenges, has gone beyond the call of duty to initiate kidney transplants here. On Tuesday, a slip of a girl in two plaits and an older person in one plait, with face masks and stockings, the Sunday Times sees, with two pairs of bright eyes saying it all. “Harima santhosai (very happy),” is what Chamini Tennekoon, 47, of Kalagedihena says and there is a feeling that this mother and her 26-year-old daughter, Ishika Kavindi Perera, are both beaming behind their masks in the High Dependency Unit (HDU). The mother has donated one of her kidneys to her daughter, in this first living donor kidney transplant performed at the Ragama Hospital, which already has a strong liver transplant programme. “The donor kidney started functioning immediately,” smiles Consultant Vascular & Transplant Surgeon, Dr. Aruna Weerasuriya, when the Sunday Times meets him on Tuesday morning, explaining that Ishika had renal failure, the cause of which was unknown. Dr. Weerasuriya explains that they removed the kidney from the mother and transplanted it in the daughter back-to-back or simultaneously. This helped prevent the serious adverse effects of ‘cold ischaemia’. Cold ischaemia is the duration in which the kidney is chilled after its blood supply has been cut off when removed from the donor. It gets warmed later by having its blood supply restored. The reduction in the period of cold ischaemia would minimize injury to the organ and allow it to function at optimal level in a short time. 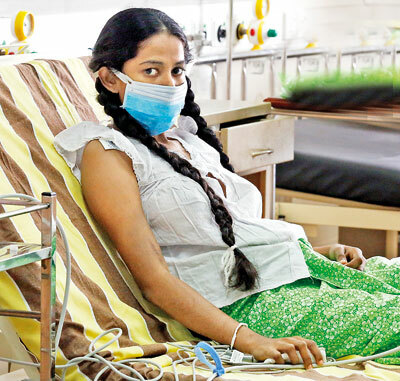 A kessa (cough) which did not get better even after taking medicine was the sign just last year that all was not okay with Ishika, says Chamini, adding that she was also very pale and her body began swelling up. A blood test by her family doctor had indicated that her haemoglobin levels were low. Then the family saw Consultant Nephrologist Dr. Nalaka Herath who tells the Sunday Times that she came a few months ago with difficulty in breathing and inability to pass urine. She was having advanced kidney disease. She needed dialysis and they kept her in hospital for a month. Thereafter, she was linked up with the Kandana Hospital for regular dialysis. 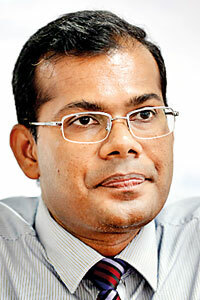 “Loku duwa underwent 75 dialysis sessions,” says Chamini, stressing that all were free under the state health system. The mother-and-daughter duo are very appreciative of the support from both the Ragama and Kandana Hospitals as well as family, their neighbours and friends and Ishika’s batchmates with whom she is studying for an external degree. The need was an O+ kidney and when her Amma readily volunteered to be the donor, the tests proved that she was compatible and a match and everything fell into place. 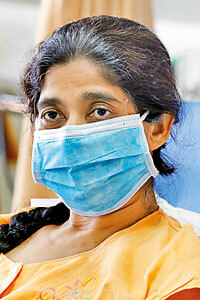 The formalities and approvals were also strictly adhered to and the transplant was performed on April 5, says Ishika. Now all preparations have been made in the home of Ishika to welcome her back. A separate room and toilet are ready for her return, for she has to be careful not to fall ill – as an infection could spell serious trouble for her. As the country celebrates Avurudu and Ishika relives the past where she took part in many games and sports events, there is hope and joy for this family from Kalagedihena. With her mother’s kidney, Ishika steps into a new world, sans illness. Life will slowly but surely return to normal – a simple indicator being that whereas earlier when under dialysis she was supposed to limit her liquid intake strictly to a maximum of 1,000ml a day, now her new kidney is working well and she can drink up to 3-4 litres of liquid a day. 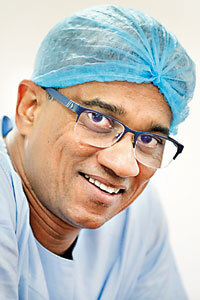 For this transplant, Dr. Weerasuriya had been supported by Acting Consultant Vascular & Transplant Surgeon, Dr. Amila Weerasekara & Senior Registrar in Surgery, Dr. Hyrin Gnanaretnam, both of whom had come from the National Hospital of Sri Lanka (NHSL) in Colombo. Dr. Herath had been assisted by Medical Officers (MOs) Dr. P.H. Sameera, Dr. Prasitha Liyanage, Dr. Ruwani Mallawarachchi, Dr. Suganthika Devi, Dr. R.W.C. Samadi & Dr. Vajira Abeysekera. The anaesthetic team comprised Consultant Anaesthetists Dr. Bhaagya Gunetilleke & Dr. Haritha Dharmakirthi; Senior Registrar in Transplant Anaesthesia, Dr. Rachini Withanage; Registrar in Anaesthesia, Dr. Yunani Yasanthika; and MOs Dr. Nimasha Silva, Dr. Ilango & Dr. Nilani. Meanwhile, the crucial critical care team consisted of Consultant Intensivist Dr. Udya Rodrigo and the ICU MOs and the nursing team headed by Matron Kumudu Kumari included Theatre-in-Charge Sister, Nilmini Gunarathna, and her team; ICU Sister-in-Charge, Thamara Ranasinghe and her team; and Surgical HDU Sisters-in-Charge, L.N. Damayanthi & P.A.M. Perera, and their team. The lack of facilities and staff is the major challenge this tertiary care hospital catering to a large catchment area is facing, the Sunday Times understands. Ishika’s transplant was done on the night of April 5 (Friday) with both donor and recipient being opened up simultaneously in two operating theatres to cut down the time required for the surgeries. This transplant was done at 8 p.m., after duty hours of the staff, and also after the routine surgical list of the day was completed, it is learnt. It was the first living donor kidney transplant at the Ragama Hospital, while two weeks before that Dr. Aruna Weerasuriya had performed a transplant with a kidney from a deceased (cadaveric) donor. The call going out is for more staff to sustain this transplant programme as there is a severe dearth of Medical Officers, while the team could also do with more nurses and minor staff. With the new theatre complex coming up, manpower is the need of the hour. 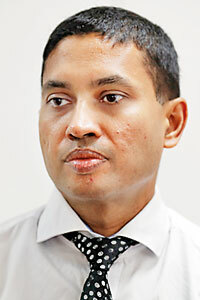 When asked about prevalence, Dr. Nalaka Herath says that although there is no Registry on Renal Failure patients, about 5-10% of Sri Lanka’s population may be hit by kidney disease, with of course, a regional difference from area to area. With a non-communicable disease (NCD) including diabetes epidemic gripping the country, in some areas Chronic Kidney Disease prevalence may be closer to the 10% mark, according to him. This is while Chronic Kidney Disease of unknown aetiology (CKDu) has a high prevalence in the North Central, North Western and Uva Provinces. The team poses for a photograph: Seated (from left) are Dr. Bhaagya Gunetilleke, Dr. Haritha Dharmakirthi, Dr. Aruna Weerasuriya, Dr. Nalaka Herath, Dr. Udya Rodrigo and Matron Kumudu Kumari.